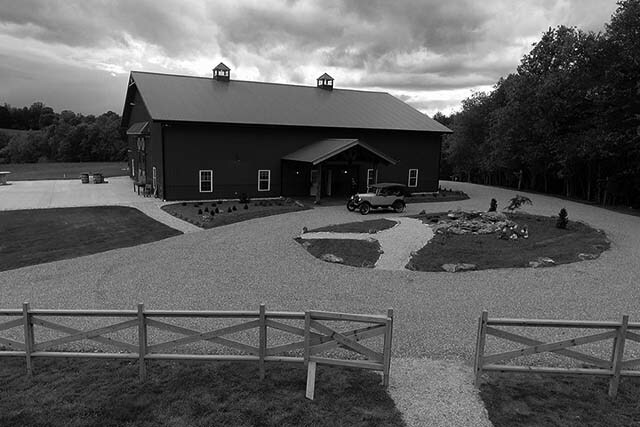 Look no further than Red Cedar Farm if your dream is an indoor our outdoor wedding on a gorgeous farm with plenty of room and amenities for your guests. Our Barn is a beautiful canvas to create your dream reception and ceremony with its neutral colors and detailed woodwork. Located in the heart of Dudley Shoals, NC, we are conveniently located to many surrounding towns, but secluded enough to enjoy a peaceful and laid back setting for your wedding. We look forward to celebrating your big day with you! Such an amazing place owned by such a sweet family! 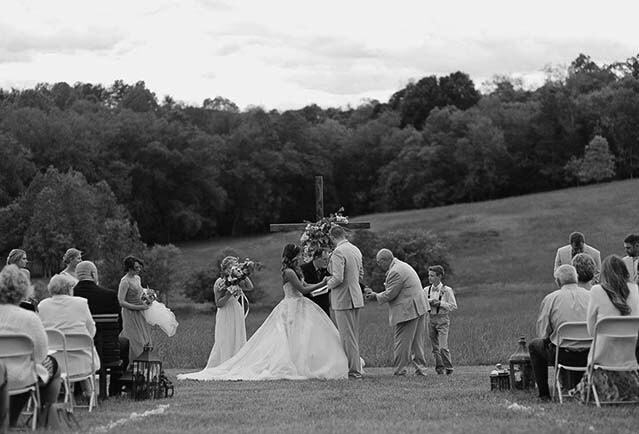 I couldn't have asked for a better place to have my wedding, it was all I could have ever hoped for, absolutely perfect. Make an impression with our beautiful barnwood farm tables, handcrafted locally. 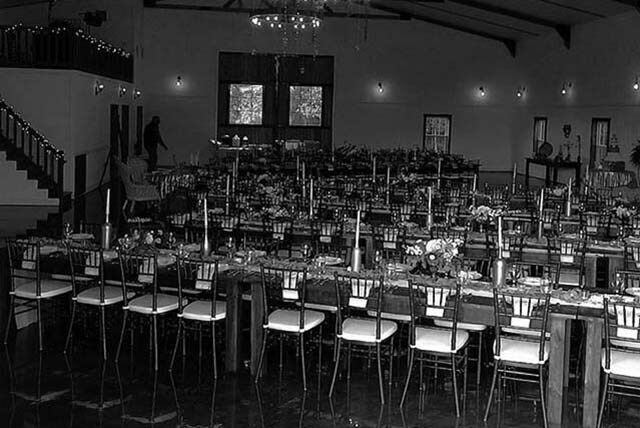 We have 26 eight foot tables and 208 chivari wedding chairs with elegant white cushions. When you enter our venue you immediately notice our landscaping, lighting, wide driveway, and convenient parking area. Our main entrance is impressive with large cedar beams and elegant stamped concrete that resembles wood. There are so many more nice touches to list! Come see for yourself! We are happy to offer three wonderful ceremony sites for our couples to choose from! Whether you want the convenience of the patio just outside the Barn, a Hillside overlooking the field with a view of Grandfather Mountain. or a romantic woodsy location, there is a location to meet your needs here at Red Cedar Farm.